Kinlay House Cork i Cork, Irland : Boka nu! 72 Hours Notice is required with a Cancellation for Groups. If you have not cancelled on time your Credit Card will be charged for One Night. Check out www.whazon.com for what is on in Cork monthly and daily. This popular place has solid security as well as a good-time vibe thanks to its friendly staff and absence of lock-outs or curfews - comfy common areas include a timber-floored TV room with brocade lounges to sink into, a big l-shaped dining room and self-catering kitchen open until 10pm each night, a split-level courtyard and an internet room. 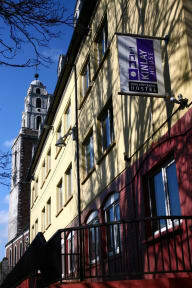 Kinlay house is at the heart of the village-like Shandon quarter ... 'Lonely planet'. 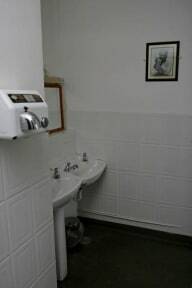 Within easy walking distance to city centre bars, cafes, restaurants, cinemas, galleries and the central bus and railway stations. Really nice Hostel with nice and big kitchen. The security was brilliant as you had to use a code to enter. The atmosphere was good, first thing that happened when I arrived to room was that I were invited out to the pub with people that was in the room already. Had a brilliant night with them and recon I've made some new friends staying here. Very clean and I enjoyed all of the facilities in the building. Price was very low. Staff could've been friendlier though. The room security is ridiculous. Basically anyone walking in from the street looking innocent could get into any room of their choice. Also no lockers in the rooms.